So Jeff Maciejewski emails us out of the blue to say that he and his son Casey are total racing nerds and have been making t-shirts for fellow racing nerds. He asks me to take a look, and I do, partly because I'm intrigued and partly because he's a journalism professor and I'm a fan of those. I'm glad I did, because their stuff is freaking awesome. The duo's online store is called Heritage Racing, and they have some wares that are totally up the Jalop alley. 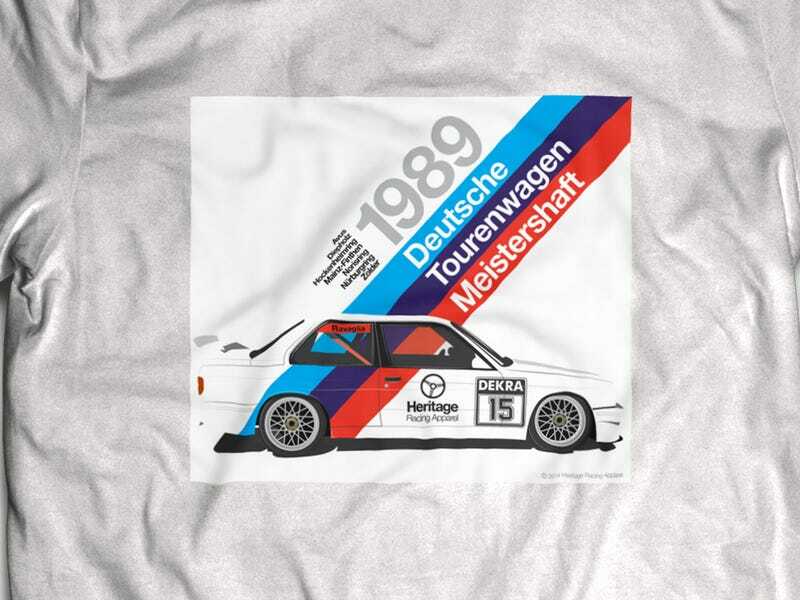 They have a ton of different shirts that celebrate BMW and Volvo at German Touring Car racing, various Le Mans races over the years, the Porsche 959 at the Paris-Dakar Rally, and the 1987 Pikes Peak race, just to name a few. Like I said, freaking awesome. You should go check out Jeff & Casey's Etsy shop because the world needs more apparel for speed-obsessed nutjobs like you and me.